Thanks to the proximity of the Brussels Ring, Visitor Centre 'De Lambiek' is readily accessible by car from anywhere in the country. Take exit 20 in Huizingen and head towards Alsemberg via the Alsembergsesteenweg. Continue straight on for 5.5 kilometres through the village centre of Dworp until you reach the traffic lights at the crossing with the Steenweg op Eigenbrakel. Turn left towards the centre of Alsemberg and follow this road until you reach the next traffic lights. Turn left again onto the large parking area of the Visitor Centre. The Visitor Centre has a spacious car park with approximately 50 parking bays. There are parking spaces for coaches as well. The railway station of Sint-Genesius-Rode (on the line Brussels-Nivelles) is at 2.5 km from the Visitor Centre. There are slow trains stopping at this station during the working week and at weekends. The railway station of Sint-Genesius-Rode is linked with the Brussels Midi railway station. With the slow train, the route Brussels Midi - Sint-Genesius-Rode takes 10 to 15 minutes. At the railway station of Sint-Genesius-Rode you can take the bus services 136 or 137 to Alsemberg and get off at the stop 'Alsemberg - Winderickxplein'. The Visitor Centre is at a 5 minutes' walking distance from there. Walking from the railway station to the Visitor Centre will take you about 30 minutes. The railway station in Halle is served several times an hour both during the week and at weekends. With the express train, the route Brussels Midi-Halle takes only 8 minutes. The station of Halle is readily available from other parts of the country as well. At the station of Halle, which is at a 8.5 kilometres' distance from Visitor Centre 'De Lambiek', you can take the bus service 153 going to Anderlecht and Ninove and get off at the stop 'Alsemberg - Sint-Victor'. This stop is at 200 metres from the Visitor Centre. Bus service 155 going to Drogenbos and Anderlecht also serves Alsemberg. 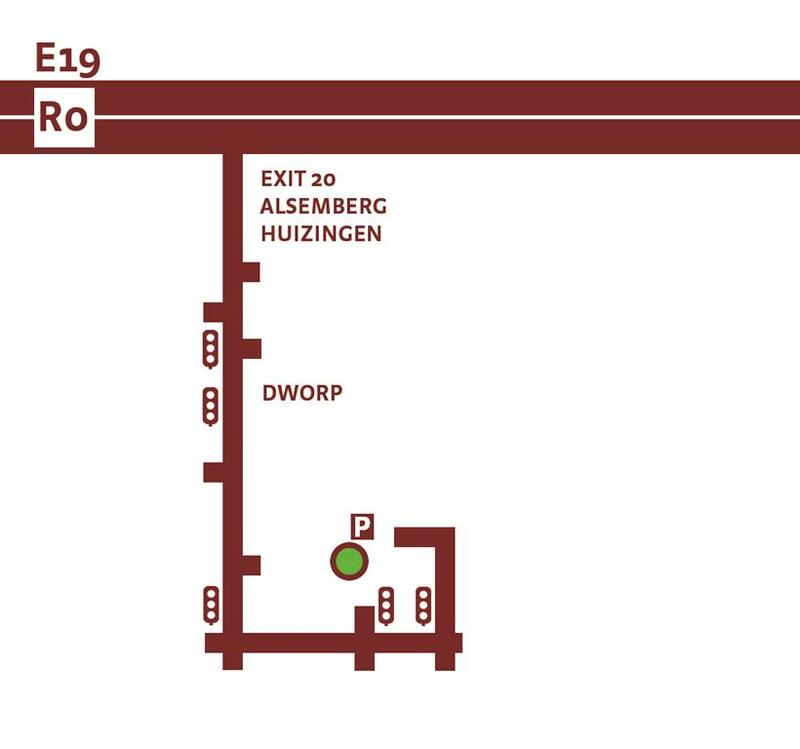 Here you should get off at the stop 'Alsemberg - Winderickxplein'. Bus service 40 of the TEC (Walloon bus company) serves the stop 'Alsemberg - Sint-Victor' on working days. Service 40 connects Uccle-Calevoet railway station with Braine-l'Alleud. 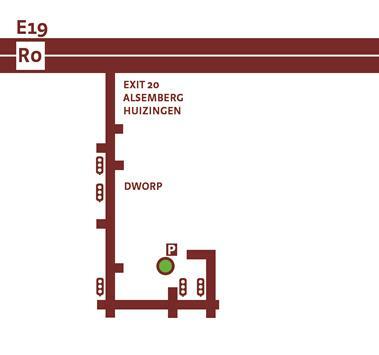 Bus service 153 (in the opposite direction, coming from Anderlecht) also stops at the stop 'Alsemberg - Sint-Victor'. This bus service inter alia serves Uccle, Drogenbos and Linkebeek. More information can be found at www.nmbs.be and at www.delijn.be.